Why is the Topeak MTX DXP so popular? The DXP is roomy and versatile. 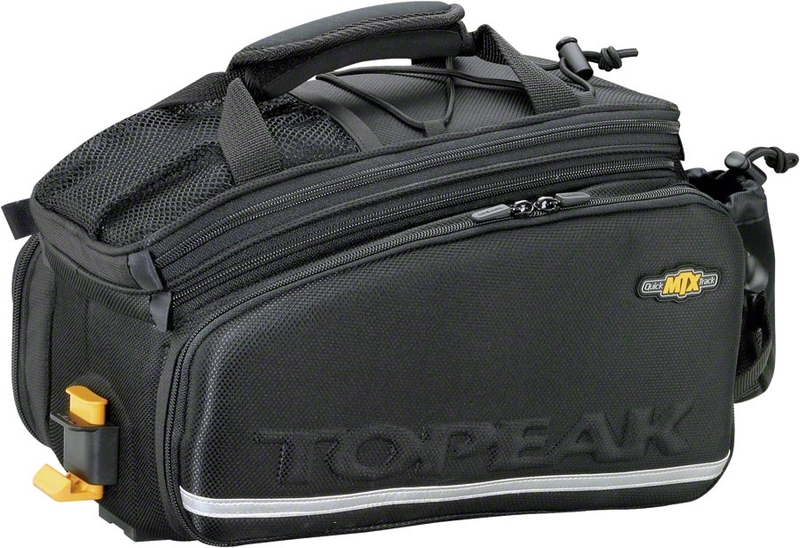 The MTX DXP is the largest trunk bag from Topeak with a capacity of 1380 cubic inches (22.6 liters). It's more than just a spacious bag though - it's a great storage space. 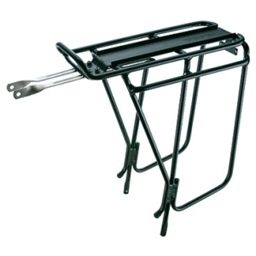 The side panniers fold-up when they aren't needed. The top expands for extra storage. There is a removeable divider in the interior to keep things separate when you need it and it has bungeed storage on top. It's even got a spot on the back for a water bottle. The MTX system makes it easy-on and easy-off. No more messing with velcro straps and wondering if you've strapped it down tight enough. 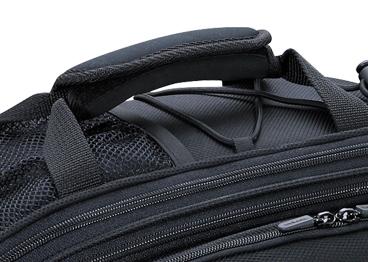 This bag just slides right into an MTX rack with an affirming click to know it's secured. Push a button and it slides right back out. Off the bike you've got a carry handle on the top or for longer walks you can attach the included shoulder strap. 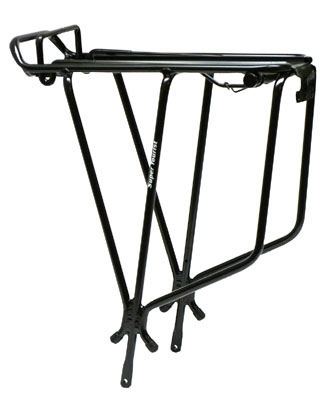 Remember to check out the Topeak MTX guide for help picking a rack. 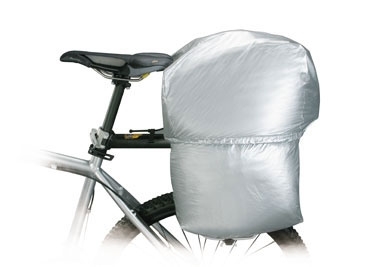 How large are the panniers? The side panniers each measure 15 inches tall by 12 inches wide. 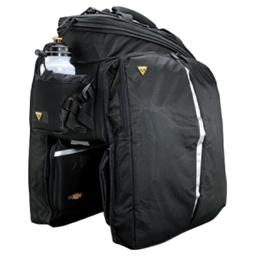 Does this bag work with non-MTX racks? 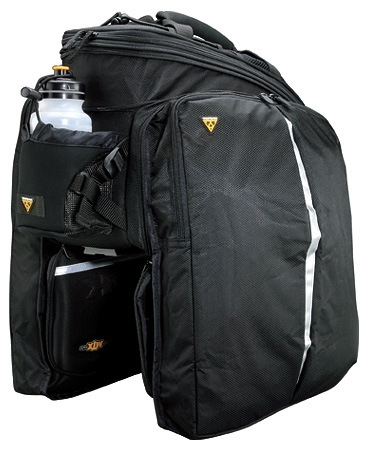 This bag is designed to mount only to Topeak MTX racks. 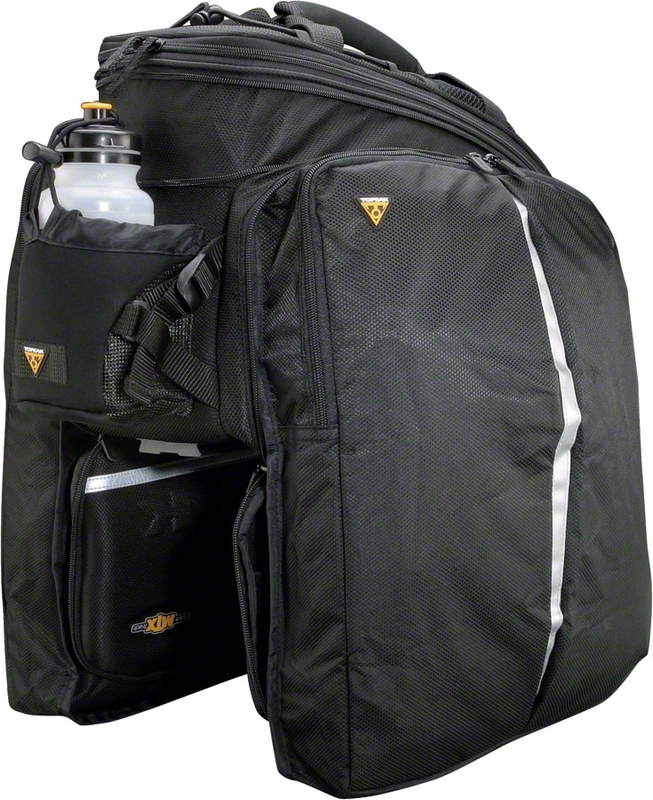 Does this bag work with the Topeak MTX Beam Rack? 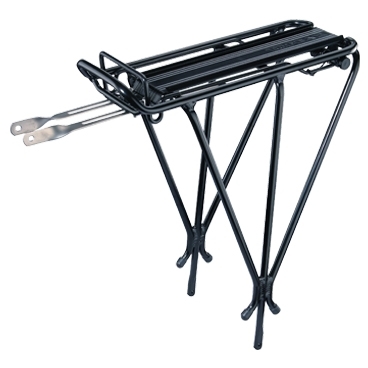 The Topeak MTX Beam Rack requires the Topeak MTX Dual Side Frame for side panniers. Solid fabric and zippers; water resistant for sure. Has held up great after 3 months of daily use. 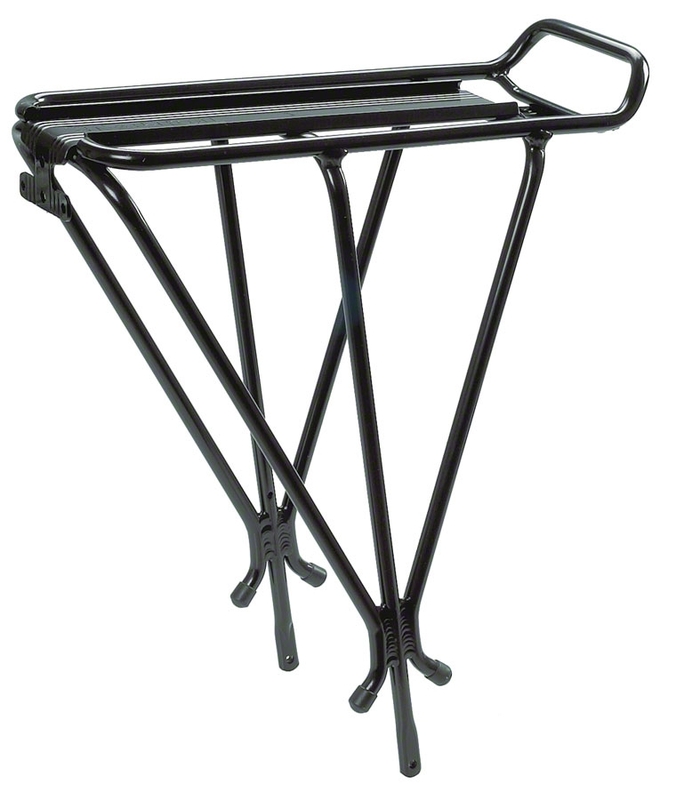 Perfect for commuting and light grocery shopping : holds enough but not too much! Bag is unwieldy to carry if panniers are filled. Rain cover awkward if panniers are not in use. Main compartment is highly structured and insulated— seems unnecessarily so. Top handle is awkward: it shouldn’t be used if the bag is unzipped. Inside lid pocket also awkward; things fall out. Panniers are just the right size for a laptop computer, files, or leeks! To solve the awkward carrying problem I keep a liner bag in each pannier and remove them when walking around, zipping up the panniers. I wish there was a loop or something to lock the pannier to the bike-nothing serious, just a deterrent for when I run into a shop. great bag, sufficient room. Like the track system, holds well.